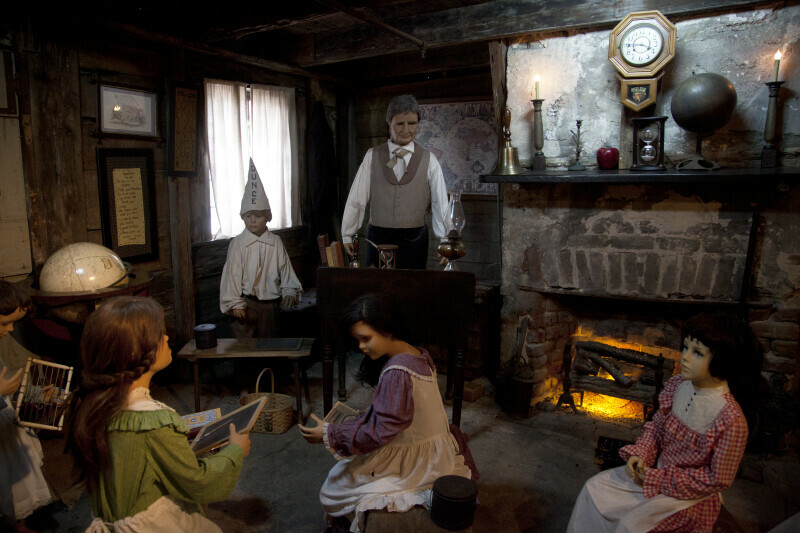 This is a classroom scene, at the oldest wooden schoolhouse in the United States. This scene represents the building's use as a schoolhouse, in the mid-19th century. The students are sitting on low, wooden benches, in a semi-circle, in front of the fireplace. The teacher is standing to the side of the fireplace. A student, wearing a dunce cap, is seated beside the teacher.